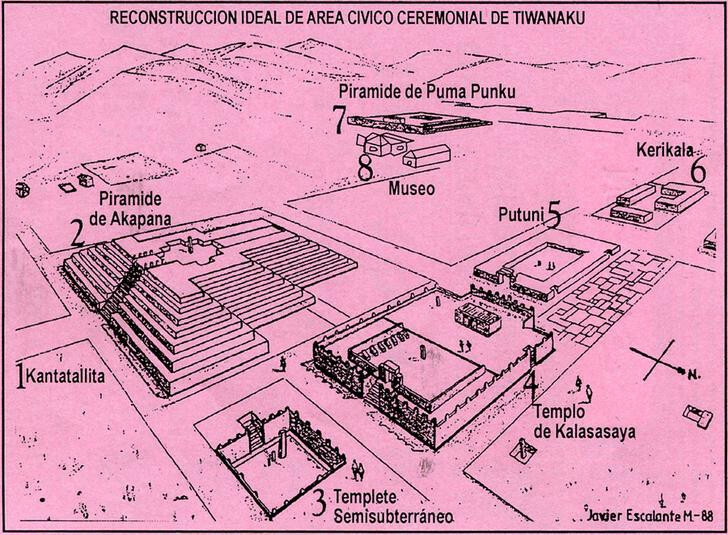 Only one organised excavation at Tiahuanaco done by University of Chicago, and with that only 15% of the ruins have been explored. 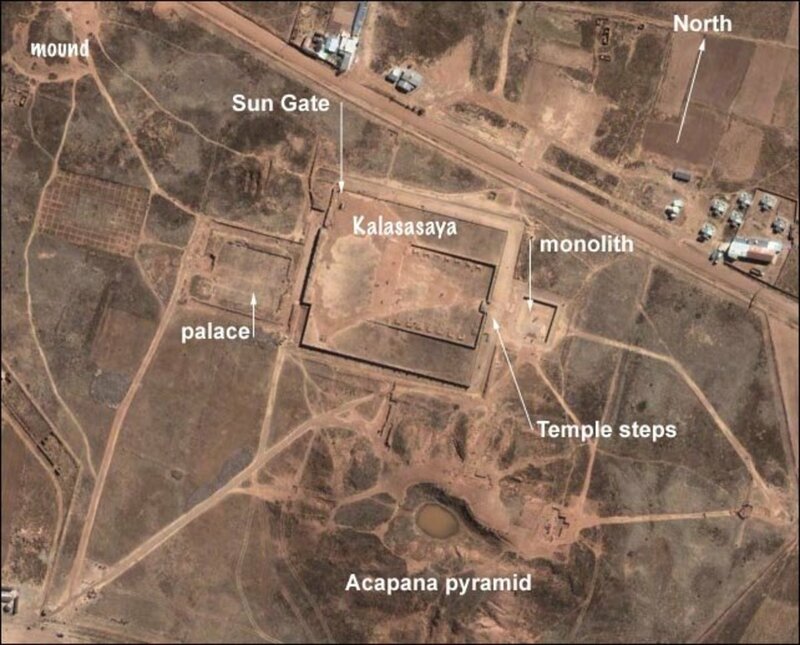 Sadly,the 15% that was excavated was done poorly and mismanaged to where the end result was the ultimate destruction of one the worlds greatest pyramids (Akapana Pyramid). Its not all bad news as what is still there is of great importance to any pre-Incan study. Tiahuanaco was the last great pre-incan culture that managed to asillimate about as much land and peoples, which a case could be made that Tiahuanaco really was Incan. Of course it itsn't regarded as such, but any study should reconise the closeness of the end of the former and the beginning of the succcessor. This paticular study will draw the parellels of the two whenever possible as to paint a clearer picture of Tiahuananco. Whereas a complete picture cannot be drawn of Tiahuanaco I will be looking at a few specific things that may have contributed to Tiahuanacos demise. Constant attack from Amazonia (or constant attacks on Amazonia), a great Drought that was followed by a catastrophic flood. Also how religious structure influenced and was influenced through those trying times. I believe it can be demonstrated that a great flow of slave labor was ebbing and flowing from Tiahuanaco and Amazonia. I hope to demonstrate this as best I can by internet, but at some point a college library will have to be involved. Keep in mind this is only a very rough draft and all are welcome to read it, but I ask that nobody post anything to this thread as I am only working out my own theories. If this subject raises interest and you feel you have something to contribute you are welcome to do so in a 'mirror' thread. The great flood of Tiahuanaco. The report - based on geological evidence from one of South America`s largest lakes - demonstrates how nature can produce sudden, unexpected climate changes that affect the entire planet. ``The Altiplano is like a giant cup, and Titicaca is the deepest point in the vast plateau, so most of the precipitation in the Altiplano drains into the lake,`` says Stanford geologist Robert B. Dunbar, one of the authors of the Science study. A case could be made for just a rise in lake level, slowly inundating the ancient city. I think that photos show a different tale though, It tells a story of a more catastrophic event (not that an unstoppable rise in lake level isn't catastrophic). I will find photos that show that the water damage to Tiahuanaco is more severe on the south side of the ruins. This will indicate that there was a more constant stream of water flowing northward back to the lake, more typical of a giant Tsunami ( I'm going with 'Giant' for more effect, there is really no way to know how big it might have been). Mallard wrote: A case could be made for just a rise in lake level, slowly inundating the ancient city. I think that photos show a different tale though, It tells a story of a more catastrophic event (not that an unstoppable rise in lake level isn't catastrophic). I will find photos that show that the water damage to Tiahuanaco is more severe on the south side of the ruins. This will indicate that there was a more constant stream of water flowing northward back to the lake, more typical of a giant Tsunami ( I'm going with 'Giant' for more effect, there is really no way to know how big it might have been). You don't get tsunamis in lakes. You can have Tsunamis in any body of water, you could have one in your bathtub if you wanted. 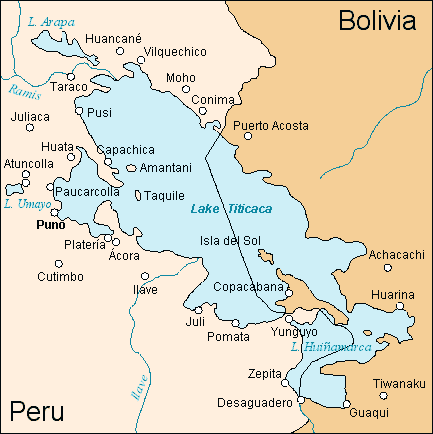 BTW..... Titicaca is a huge body of water, I think it was a massive landslide that triggered a tsunami. Not all that far fetched at all. Mallard wrote: BTW..... Titicaca is a huge body of water, I think it was a massive landslide that triggered a tsunami. Not all that far fetched at all.